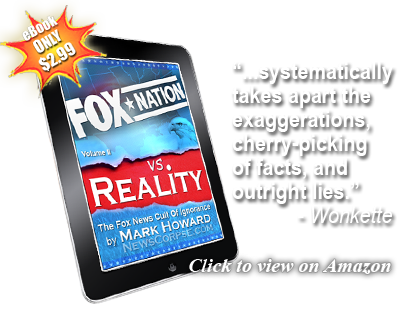 By now everyone with a pulse knows that Fox News is an unabashed mouthpiece for the Republican Party and their Tea-sotted radicalism. So it is not much of a surprise when they brazenly twist, mutilate, and ignore facts to advance their conservative agenda. However, every now and then the unparalleled idiocy of the Fox Nation editors still manages to boggle the mind. When GOP Speaker John Boehner announced the formation of the House Select Committee to Shamelessly Politicize Benghazi, his GOP comrades immediately set out to profit from the affair by cravenly soliciting donations based on their starkly partisan scandal mongering. It was a nauseating display of disrespect for the seriousness of the subject and the tragic loss of American lives. Numerous media reports properly criticized Republicans for this act of political opportunism and greed. So what does Fox News do about it? That’s right. 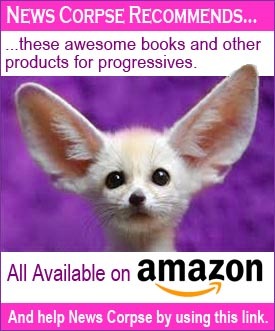 Fox attempts to turn the tables on their critics and accuse Democrats of similarly callous fundraising. But instead, this wild swing at Sen. Elizabeth Warren demonstrates the desperation and stupidity of the right, more than any malfeasance by Warren. 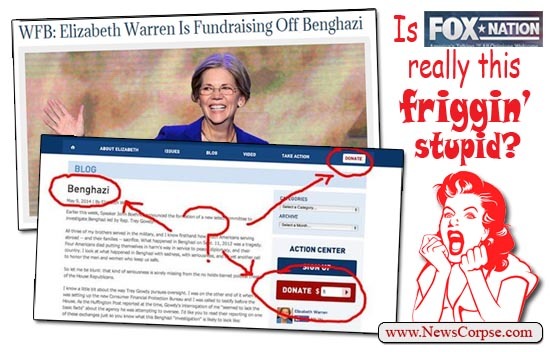 The supposed proof that Warren was using Benghazi to raise money was the presence of links on her website to a donations page. However, those links had nothing to do with the article she wrote on Benghazi. They are a part of her website’s standard template and appear on every page on the site. Any sixth-grader knows this about the Internet, but that’s apparently too high a bar for Fox News. Now compare that to the manner in which Republicans explicitly tied their fundraising to Benghazi. The images below were taken from the official pages of the Republican National Committee, the National Republican Congressional Committee, and the National Republican Senatorial Committee. And they were not some standard template page, but the actual donations page for each site. Note that these pages directly refer to Benghazi in making their plea for cash. For instance, the RNC page says “Thanks for standing with us and demanding the truth about Benghazi.” The NRCC page says of their donors that “You’re now a Benghazi Watchdog” (whatever that is). 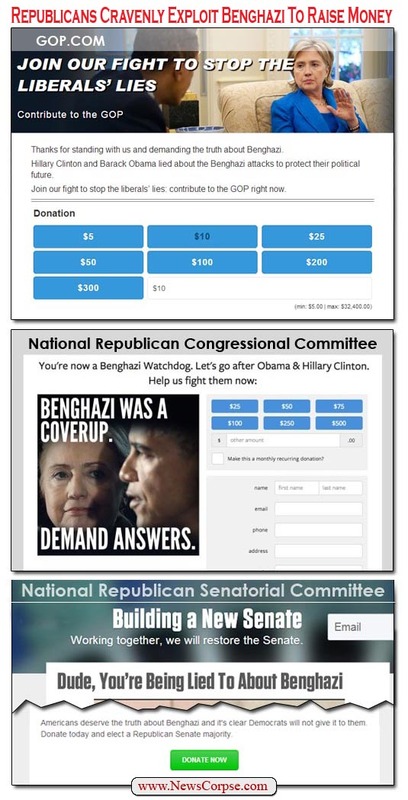 And the NRSC says to “donate today” because “You’re being lied to about Benghazi.” In each case the connection between Benghazi and the donation was flagrantly obvious. As opposed to the references on Warren’s site which were incidental and unrelated to her commentary. Trying to assert that there is something in common with Warren’s page and those of the GOP says more about the desperation of the Republican Party to counter the criticisms that they so richly deserve. It also affirms the low esteem with which they regard their followers if they believe that such an ignorant argument can be persuasive. And if the leading Republican institutions think that their party members are this stupid, then what should the rest of us think? As a political spectator, watching in aghast at the recent antics of the Republicans in the House, in collusion with their propaganda arm, the fake news organization, Fox News and the rest of the dishonest charlatans who occupy our public airwaves, Limbaugh, Hannity, Beck et al, launching Benghazi 2.0, I couldn’t help but google ‘American embassy attacks’. The list is incomplete but I counted no less than 39 embassy attacks since 1924 and many Americans, including diplomats, were killed. Why are the Republicans focusing so much energy on a single attack? They seem very muddled in their claims and shoddy in their presentation. I fear it seems this way because when you are making claims that are based on premises that are the claim itself, then it will appear you are muddled and shoddy because that is all it can be when presenting a fallacious argument like this. When an argument is based on muddled and shoddy reasoning the end result can only be muddled and shoddy. These tragedies are, unfortunately, common place, when you look at the history of U.S diplomatic facilities attacks. What they are claiming is that the Obama Administration, somehow, did something illegal when the CIA gave some unreliable information to be used on Sunday morning news-shows in a very fluid situation that was changing very quickly. That’s it! That is what these fruitless congressional inquiries are all about- talking-points! FYI: There were thirteen Benghazis during the Bush administration. And not a peep from Fox News. How do you ask an ambassador to be the last ambassador to die for a mistake? I am aware of that and we know why we don’t hear any of that from Fox. Why isn’t the rest of the media bringing this up more when they talk to the republicans pushing this nonsense? Did anyone bring this up on any of the Sunday news-shows? Fox knows its audience doesn’t read any further than their lying headlines. Why are they focusing on Benghazi and not the rest. One word Hillary. They are scared to death she will be the next president. And the attack on Benghazi is the only thing they have against her. They could care less about the 4 dead, they could care less about the real Benghazi, Lybia. They care about keeping hashtag #Benghazi alive.